Great as baby shower gift, for Christmas, new year and for the in-trend new moms. 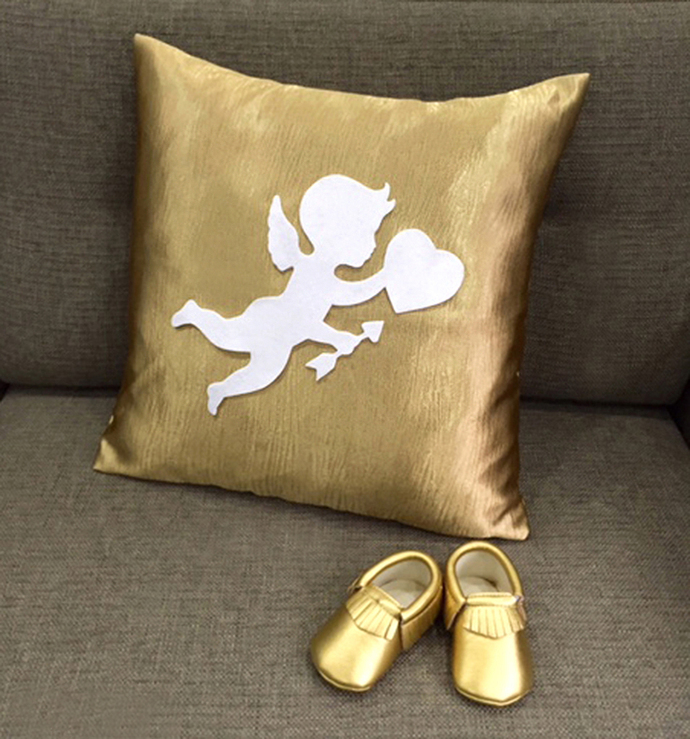 'Cupid Sending Love' decorative matt gold pillow cover is perfect for the Nursery/Playroom, is handmade with love by me. 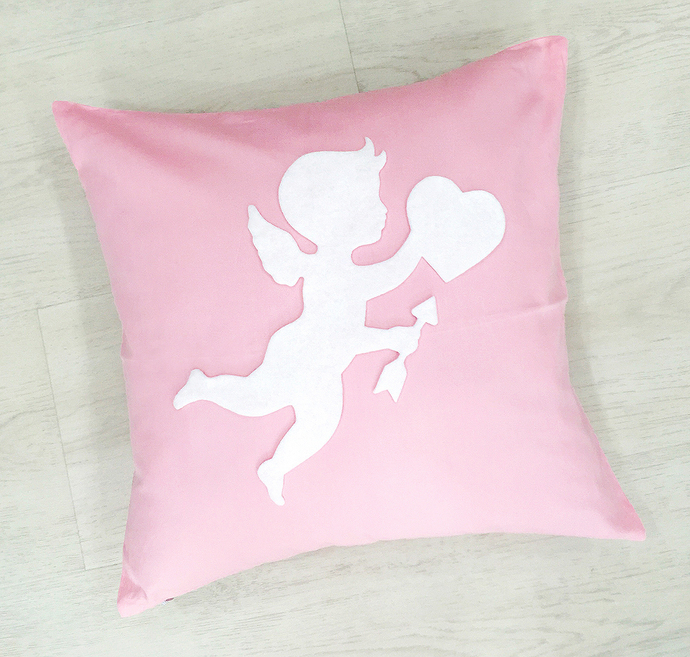 While cupid is hand-cut in recycled Felt and hand-stitched on the front panel of pillow cover. 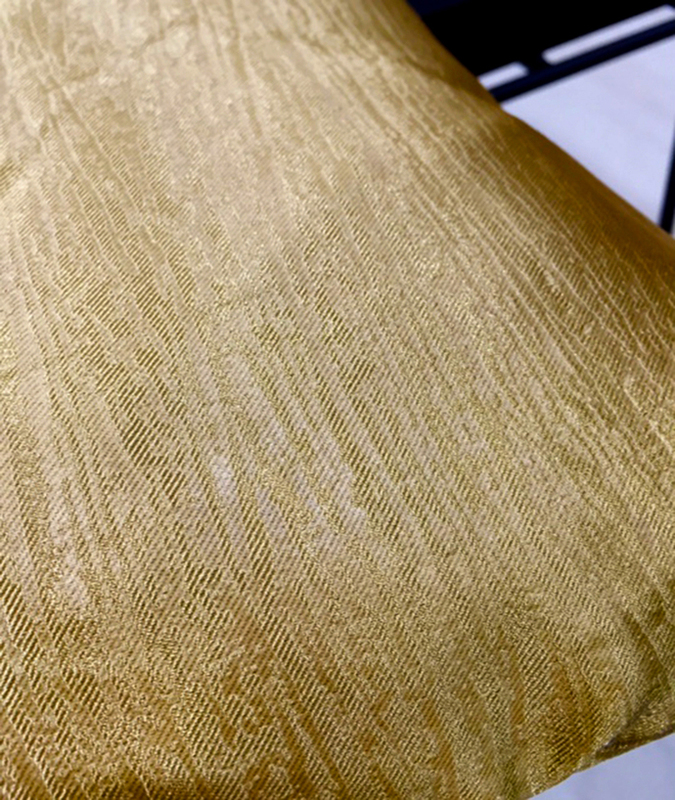 *It is 17inch X 17inch, in Matt Gold textured polyester blend, invisible zip at the bottom for insert removal. 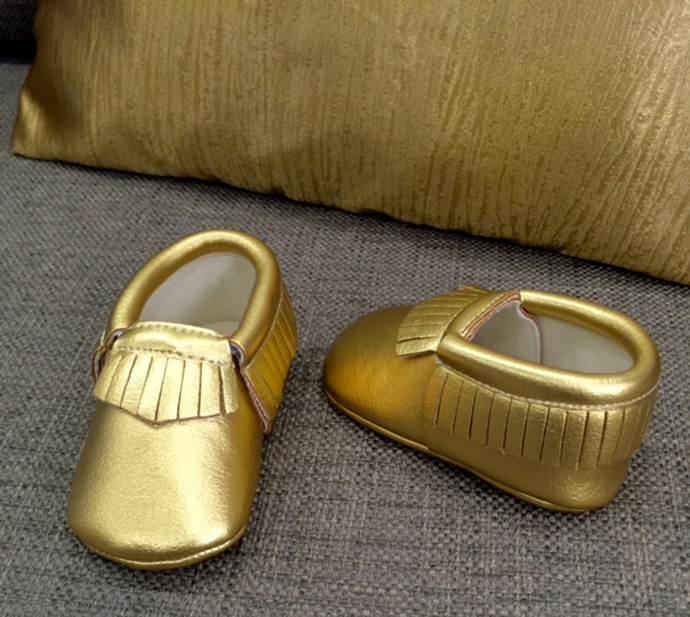 *Baby booties in One size(fits 4--12 months,depending on baby's feet) are made of soft gold PU leather. *If you just want the Pillow Cover only, please contact me and refer to the Options. *Need other color for the pillow? Feel free to ask me.